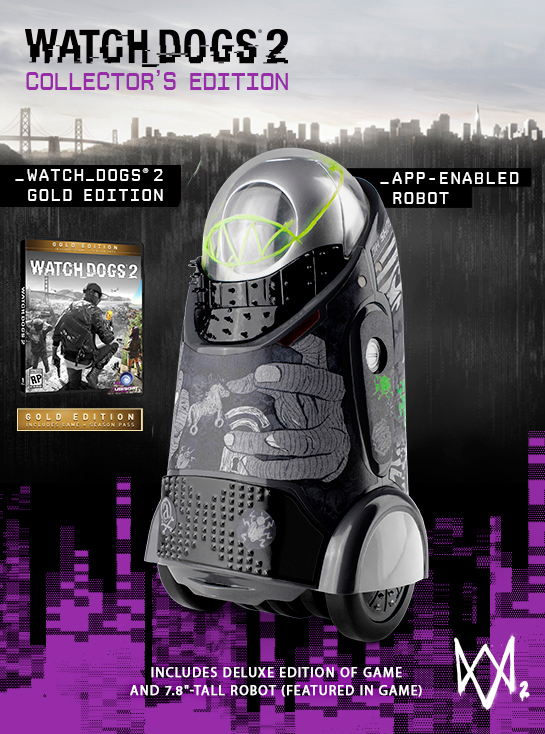 The Watch_Dogs hype train is charging at full speed, as six different versions are available for pre-order shortly after its pre-E3 reveal. Various Reddit, NeoGAF, Linkedin and social media outlets hinted at its existence, however Watch_Dogs 2 was officially announced earlier this week, followed by the official reveal Wednesday morning. Publisher and developer Ubisoft held an 18 minute broadcast for the sequel to 2014’s Watch_Dogs, featuring behind-the-scenes motion-capture footage, and some of the real-world influences behind the new installment. Following Pierce’s temporary blackout of ctOS in Chicago, an improved ctOS 2.0 was integrated into San Francisco, however corporations are building and selling digital profiles of everyone within the city. Players are jumping from Chicago’s vigilante Aiden Pierce over to Marcus Holloway, a talented member of DedSec and San Francisco’s hacker scene, out to shutdown the city’s corporate corruption. The younger, California-based Holloway is more nimble than Pierce, as early gameplay footage shows him performing realistic parkour across the rooftops of San Francisco; players will also trade-in Pearce’s police baton for a new handcrafted weapon- a billiard ball tied to some paracord. Unlike the solo-op that was Watch_Dogs, players will have more interaction with DedSec members, or with each other through drop-in/drop-out online co-op. Regardless of where it’s pre-ordered, buyers will receive a code to redeem the “Zodiac Killer Bonus Mission” at launch, dealing with a copycat murderer inspired by the infamous serial killer of the 1960’s. Watch_Dogs 2 will release for PC, Xbox One and PS4 on 11/15.